Business owners are always trying to improve their bottom line, and finding methods to lower insurance rates for a business often tops the list of ways they go about it. Be Less Successful. If you want to pay less for insurance, you can always make less money. One facet examined by carriers is gross annual income; if this is low, you won’t have to worry much about insurance. It may seem unfair, but if you start making more money, you’ll likely pay higher insurance rates. Don’t Expand. Keeping an operation small keeps your costs low. If you have fewer employees–or none–you don’t have the cost of paying for insurance to cover their medical expenses in case of a work-related injury or illness, and you’ll get to enjoy doing all of the work yourself, for the life of your business, to boot. Limit Your Options. It’s simple; clients and venues often require insurance in what may seem like high amounts; if you limit your clientele and partners to those on the small side, you can prevent having to carry larger amounts of commercial insurance, thereby lowering your insurance rates. You also don’t have to invest in higher numbers of inventory, or manpower hours, or whatever your particular business model needs as capital, if you’re shooting low. You’ve probably figured out by now that our “suggestions” are tongue-in-cheek. However, they’re still very valid ways you can lower your insurance rates for your business because the truth is that you need insurance if you run a business, and the deeper truth is that if you want to experience real success–growth, and the benefits that come with it–you also experience the cost of that. Author and speaker David Hyatt says that “success brings its own set of problems”, and he’s right–that truth is particularly relevant to your business insurance. 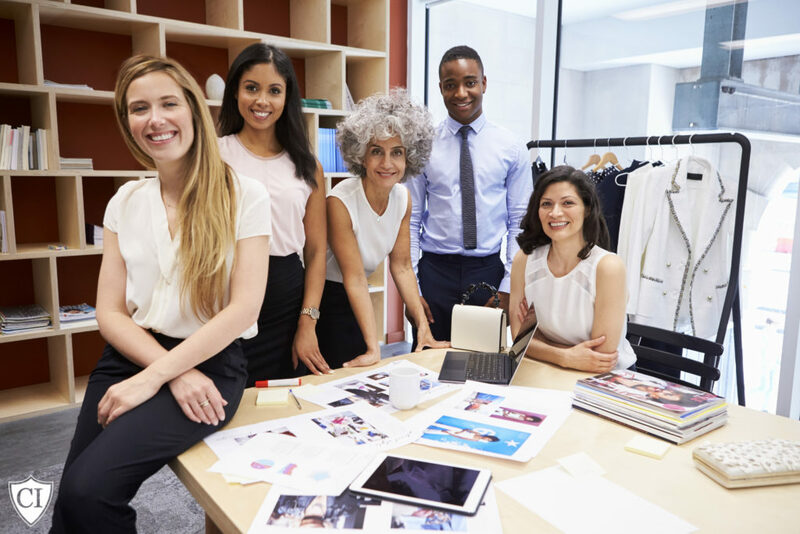 Now, let’s look at the reasons why you should celebrate the fact that you need insurance for your business–and why you need it in the amount that will help your business thrive. Insurance Protects Your Present. Whatever your scale of operations now, if an event happens that incurs legal costs, they have to come from somewhere. It can be a payout from a robust General Liability policy, or it could be the proceeds from shutting your business down and selling it…and possibly going into debt if that’s not enough to cover incurred obligations. You may be the best in your industry, or have a product like no other, but accidents happen, and even if you’re not at fault, court costs money. Insurance Helps Build Your Future. Having enough to cover your assets in case of accidents or negligence is important, but when you expand, so does your risk. Want those choice clients? The big venues? They likely require a little more from you in the way of insurance coverage. Even if they don’t, and you’re taking on more by doing more, the possibility of happenings that outstrip basic, bare-bones coverage increases. An Umbrella Policy to raise limits, or Workers Compensation to protect employees may give you the safeguards you need to step forward. Risk management is an art, and our business at CommercialInsurance.net is helping you protect your business. So that you can grow, not just enjoy the status quo. Call 1-877-907-5267 today to speak with one of our specialists, or click here to start the process of getting a quick, free quote. Make sure your concessions business is properly insured. Events may be fun on their own, but the presence of concessions always makes them better–a concessions business is a great idea for making the most of hungry and thirsty crowds, but your concessions insurance needs to be secure before you start. Most venues will require basic insurance (such as a General Liability policy) and proof from you before you can set up shop, but even if they don’t (and you should be curious if it’s not a requirement), you need to protect yourself from liabilities, and concessions insurance for your business is how you’ll do it. Are you stationary or mobile? If your business requires a vehicle, you need to ask about Commercial Auto. Do you sell liquor? Laws and coverages vary depending on what types of beverages you serve..
Do you have employees? If anyone works for you, you need to understand the nuances of Workers Compensation insurance, even if it’s just to plan ahead. Beyond the basics, options like Business Owner’s Policies and Umbrella Coverage can help you expand, by providing coverage to protect your investment as you grow. If you’re in the market for getting concessions insurance, or curious about your current coverage, call 1-877-907-5267 to speak with one of our specialists, or click here to start the process of getting a quick, free–competitive–quote. Providing refreshment, whether it’s at a farmers’ market, festival or game, is a great business opportunity. But the only concessions you should make are the kind you can eat or drink–don’t cut corners on your insurance, or it could cost you a chance at a lucrative company. Make sure your pool service business is properly insured. Helping your swimming pool service clients keep their pools in tip top shape may seem pretty straightforward, but insurance for a pool service business needs to cover all of your exposures–and there are a multitude of those–to fully protect you. Keeping your clients’ pools safe and enjoyable requires more than just cleaning filters and pouring chemicals; if you’re conducting repairs, offering cosmetic repair services, servicing heating units or any other ancillary services, your pool service insurance plan needs to provide coverage for those risks. It may be tempting to limit your coverage to cut costs in the present, but providing the security your pool service business needs to continue to operate–and grow in the future–should be the foundation of your business plan. General Liability. This is a basic policy for almost any business; it protects your business against claims concerning injury or damage to a third party. It’s also call “Slip and Fall” insurance–clients may require this coverage, and it’s especially important to talk to an experienced agent since your “office” includes your client’s pool. Workers Compensation. Whether you employ a team of skilled technicians, or simply have a family member that helps you on occasion, if you have workers, you need to understand your obligations to them. Find out your state requirements, and be sure to engage an agent that understands the intricacies of this facet of insurance for your pool service business. Commercial Auto. The transportation that gets you from pool to pool is the lifeblood of your business, and your spa or pool service business’s insurance needs to address your vehicles. Don’t let a minor fender bender shut you down–make sure your Commercial Auto policy protects you adequately. Inland Marine. Tools for servicing spas and pools aren’t cheap, and they’re necessary. Inland Marine is a coverage that protects you in case these tools are lost or stolen. Even though the methods may be the same as other companies, your individual spa or pool servicing business is unique, and your clientele will be, too. Your insurance policy should be put together with that in mind, and ideally, your relationship with your insurance agent will allow for communication about future growth and gauging the expansion of your insurance accordingly, so that your business can thrive as new opportunities present themselves. Call us today at 1-877-907-5267 to speak with one of our specialists about your business insurance needs, or click here to get a free, quick, competitive quote on insurance for your spa or pool servicing business. Get Your Food Truck Rolling…But Don’t Leave the Insurance Behind! Make sure your food truck business is properly insured. A food truck can be a great business–less overhead than a restaurant, and the ability to go where the customers are–but you have to be sure your food truck insurance is in place in adequate amounts before you take off, if you want to stay in business. It’s important to find an insurance agent who understands the particulars of food truck insurance, whether your operation is brand new, or just undergoing changes. Putting together a risk management plan that covers the basics as well as your individual needs is paramount to undergirding future success. 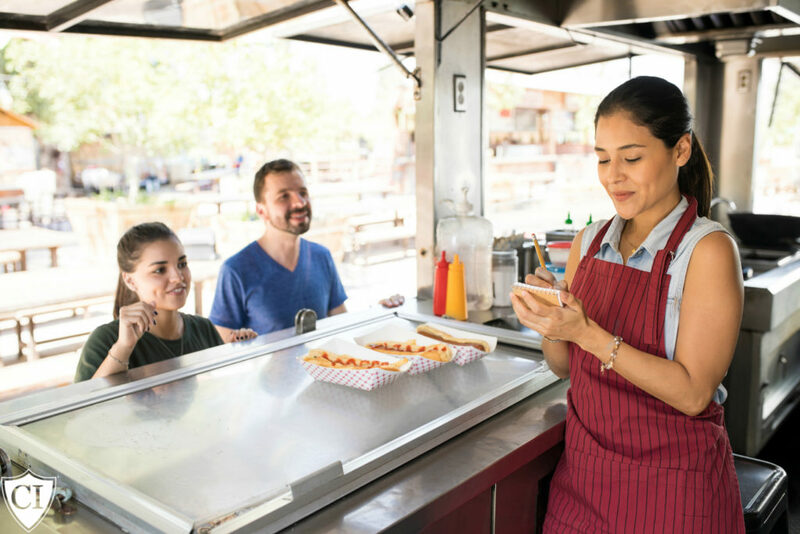 Your budget, your goals, and your risks are all pertinent–be prepared for questions about your annual income and other specifics when you discuss food truck insurance with your agent. General Liability. Also called “slip and fall” insurance, General Liability protects you in case of physical damages or injuries to third parties. Food-related injuries also fall under this coverage; if you’re sued because of food poisoning or an injury that resulted from your product, this is the policy that you would use for covering legal costs. Commercial Auto. Not all commercial auto policies are created equal; you need a plan if your business revolves around a vehicle, and your food truck insurance needs to cover not just the actual truck, but modifications and equipment that help your business run–figuratively and literally. Workers Compensation. If you have employees, you need to understand your state’s laws about Workers Compensation, and whether it needs to be a part of your food truck insurance policy. Liability Umbrella. Expanding your business doesn’t just mean offering new menu items or gaining access to a new venue; it can also mean that you should consider upping your food truck insurance coverage limits with Liability Umbrella, a policy designed to cover damages when they exceed the limits of your other policies. A food truck is a great opportunity, and the correct insurance can help make it possible for your business to enjoy a long, healthy life. Call us today at 1-877-907-5267 to speak with one of our insurance specialists about your food truck insurance needs, or click here to start the process of a quick, free, competitive quote–great coverage is just a phone call or mouse click away. Commercial Auto Insurance: Does Yours Fit Your Business? Make sure your commercial auto insurance fits your small business considerations. Most business owners know the risk involved with their product and service, but often assume their personal auto coverage is sufficient. Any vehicle owned or operated by the business may put the business at serious risk financially in the event of an accident caused by that vehicle or the operator and that includes employees using their personal cars for business purposes. First, commercial auto insurance needs to be take out anytime a vehicle is titled to the business. It doesn’t matter the size, make or even if it is used strictly for pleasure. The business name on the title brings the business into a lawsuit in the event of an accident or personal injury. Even if the car is used by the business owner’s spouse or family member exclusively, the titleholder — the business — can be sued. Obviously, the type of vehicle classification, motor size, uses, must all be noted and will impact both premium and coverage. It may make sense to opt for fleet insurance for your business if it uses several vehicles. In addition, make sure to run driver’s license checks on your employees who may be driving the company vehicle. Work with your insurance professional to determine the proper coverages and policies. Your state probably has a minimum insurance amount you may be required to carry, but only carrying the minimum amount of insurance may expose your business to financial risk in the event of a lawsuit or judgment higher than the state minimum. Work with your agent and perhaps your corporate attorney to review your coverage against your potential for risk. Your state department of insurance can also be an invaluable resource. A seasoned insurance professional will review other coverages available for commercial auto insurance for your business, and help you figure out what you need. Comprehensive coverage, under insured motorist, medical payments and others may be available, and prudent for your risks and the type of business you have. You need to design a policy and coverage that provides adequate protection and minimizes the exposure for your small business. Don’t assume you have good coverage without having a conversation and review with your commercial insurance agent. Click here to start the process of a free, quick, competitive quote from CommercialInsurance.net, or call us today at 1-877-907-5267 and speak with one of our specialists about your insurance needs. Commercial auto insurance isn’t one size fits all; it needs to be tailored to your specific business and the vehicles you are using. Most business owners know the risk involved with their product and service but often assume their auto coverage is sufficient. Any vehicle owned or operated by the business may put the business at serious financial risk in the event of an accident caused by that vehicle or the operator. Commercial auto insurance needs to be taken out any time the vehicle is titled to the business. It doesn’t matter the size, make or even if it is used strictly for pleasure–the business name on the title brings the business into danger of a lawsuit in the event of an accident or personal injury. Even if the car is used by the business owner’s spouse or family member exclusively, the titleholder (the business) may be sued. It’s important to review driving records of those who are driving your vehicles or may drive them at some point in the future. Obviously, vehicle classification, motor size, use, must all be noted and will impact both premium and coverage. Work with your insurance professional in determining the proper coverage and policy. It may make sense to opt for fleet insurance for your business if you have a number of vehicles to insure. Make sure you understand the nuances around the liability limits covered by the policy. Taking just state minimums again may expose your business to financial risk in the event of a lawsuit or judgment higher than the state minimum. We often see business owners assuming way to much risk in having minimum coverage in place. Ask your agent and perhaps your corporate attorney to review the coverage and potential for risk. You insurance professional will review other coverages available for commercial auto insurance. Comprehensive coverage, under insured motorist, medical payments and others may be available. Together, design a policy and coverage that provides adequate protection and minimizes the exposure for your small business. Don’t assume you have good coverage without having a conversation and review session with your insurance professional. Make sure to review this insurance annually, or when any changes occur, including adding or dropping a driver. To speak with one of our specialists, call us today at 1-877-907-5267, or click here to start the process of a quick, free quote. Purchasing commercial auto insurance is much different than purchasing personal auto insurance. Many business owners are often misinformed about certain specifics involved with purchasing commercial auto insurance. It is important to review vehicle ownership and use of both business owned and personal vehicles that may be used for business. Failure to understand how commercial auto insurance works can be costly and expensive if an accident occurs and you’re left uncovered. The definition of “business use of a personal vehicle” may vary between insurance carriers. Whether you’re an independent contractor or a sole proprietor, discuss coverage with your insurance professional, and be sure that you’re completely transparent about how your vehicle is used. Even if your auto policy offers coverage, it probably makes sense to raise your liability coverage. A knowledgeable insurance professional will be key to determining what coverage is needed. If multiple vehicles are owned or leased by a business, it may be necessary to purchase fleet insurance. Depending on the type of company, the number of vehicles differs for qualification for a fleet insurance policy. Remember that trailers and equipment may also qualify as part of the fleet policy. Qualifying for fleet insurance generally reduces the per vehicle cost for coverage. However, there are plenty of reasonable commercial auto policies available for businesses which don’t qualify for fleet coverage. Many variables play into the cost of commercial auto insurance. Makes, models, features, as well as purpose and driving records all factor into determining the premium. In fact, one poor driving record can increase the premium or even have coverage denied. As your business grows, it is important to screen driving records as part of the hiring process. Business location and mileage estimates will also factor in to determining the premium. Vehicles traveling longer distances will be charged higher premiums. Care should be taken into choosing vehicles and vehicle replacement. High end cars are expensive to insure due to high cost replacement parts. Mid-size sedans often have lower premiums; often trucks and vans do, as well. As a rule, the more specialized or equipment, the higher the premium will run. It’s important to review upcoming purchases with your insurance professional first, so you don’t get a shock down the road with a jump in insurance costs. Use your agent as a resource to help guide you through purchasing and adding vehicles without huge spikes in your insurance costs. Need further guidance or want to price shop? Call us today at 1-877-907-5267, or click here to start the process of a quick, free, competitive quote on commercial auto insurance or other business insurance needs.